Cover is a content-driven blogging theme for WordPress. Built on top of Automattic’s _s (Underscores) and bundled with Font Awesome, Cover allows you to focus on your writing. There are no sidebars to mess with, just a single column view of your content. Please note that while Cover is still supported, no new features will be added. Active development has moved to Cover2, the next iteration of the theme. Cover is designed for any size screen. No matter the device, Cover always looks beautiful. Drawing special attention to featured images, from the homepage to posts, category archives to pages, your blog is made uniquely yours. Of course, you don’t have to use images. Cover’s clean typography lets your writing stand on its own. When you use a featured image in Cover, it displays it as a background image behind the title. Images taller than 600 pixels will be displayed full-screen. Cover is bundled with Font Awesome v4.3, allowing you to include any of its icons on any post or page. Cover was built from the ground up with ASE in mind. Break out of the content area with full-width components like images, galleries, maps, and more. Cover puts your content first, exactly where it should be. But that doesn’t mean you can’t have widgets and menus, and that’s where the overlay comes in. The overlay is a full-screen menu and widget display. You can define two menus (a regular one and a social media one) and as many widgets as your little heart desires. You can also put a social menu in the footer. So, about those social menus. All you have to do is create a menu with links to your favorite social media accounts, and Cover will do the rest. It will detect the URL of the site in question and display the appropriate icon, courtesy of Font Awesome. If you would like to request support for a site’s icon, please raise an issue. Or create a pull request and add it yourself! Cover was built from the ground up with Aesop Story Engine in mind. Break out of the content area with full-width components like images, galleries, maps, and more. 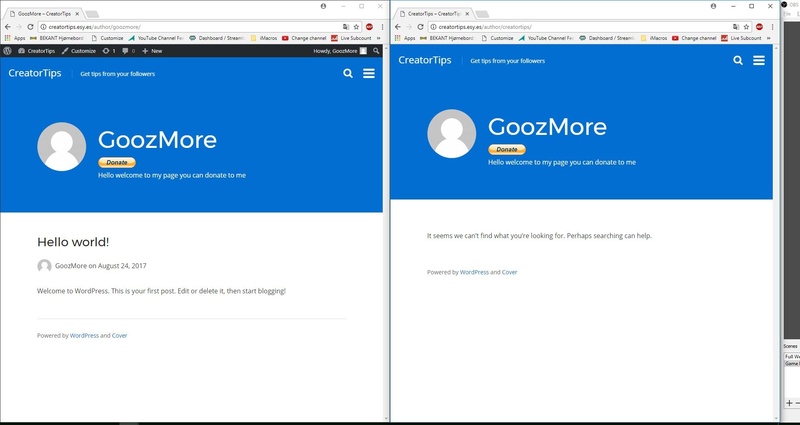 In the Customizer, you can not only set the site title and tagline, but also a site logo. You can enable and disable any combination of these three options. In the Customizer (again), you’ll find the option to assign a specific tag to featured posts (the default is “featured”). Tagging a post will give it a special place on your blog’s home page: it’s displayed larger than the normal post listing, with its featured image displayed prominently behind it. Please note that Cover currently only shows a single featured post, even though you may tag more than one post as featured. Using the Color Posts plugin will allow Cover to match the header’s color to the color of a post’s featured image. Please note that this plugin requires Jetpack. Search for “Cover” and, once you’ve found the theme, click Install. Click Activate to start using Cover. Click Upload and Choose File, then select the theme’s zip file. Click Install Now. How do I set the background image behind the post title? When you use a featured image in Cover, it displays as a background image behind the title. Images taller than 600 pixels will be displayed full-screen. Cover does not allow you to change the default font size. I recommend creating a child theme before making changes to the theme, or use a Google Fonts plugin and then use it to alter H1-6 and Paragraph fonts + size. Whoa! I really like this theme! Great job! Great wordpress theme! How do you add the background image? Great theme! How do I increase the font size of the body text? There’s currently no option to do so. I’d recommend creating a child theme and overriding the font size. Hi, my home page seems to not have a large photo featured post like your home page does. How would I enable this feature if you don’t mind me asking ? Awesome, it’s up and working without any issue. I appreciate the work you put into this project and the fast response. Is there a way to rotate the front image? Say for a photography site? If you’re referring to the Jetpack-driven featured content on the homepage, it is currently restricted to a single post. I’ve actually been considering allowing more than one, but I’m unsure how I’d want that content displayed (i.e., in a slider or grid). I’ll probably address it in a future update. Thanks Paul. This theme is awesome and I appreciate your work. VERY MUCH. Also, I’ve been looking at your blog . . . very touching and inspirational. I am planning a WordPress tutorial for YouTube (I’ve done a bunch already but need an updated one) and am thinking of using your amazing theme for my example site. Sending you an email as well. Hello, I’m using the Cover theme and I would like to change the main blue color that’s used for headers and links on the site. I was hoping this might be an option in the customizer, but is there any other way to easily do this without using a child theme or custom CSS? If not, would you consider including this option in a future release? – Added support for Jetpack’s Site Logo module. – Added Customizer option to change header color. – Added Customizer option to change link color. – Added TGM Plugin Activation class to suggest Aesop Story Engine. – Added caption styles for Aesop Story Engine image gallery types (Grid, Thumbnail, Sequence, Photoset, Parallax). – Added styles for Aesop Story Engine to darken the image behind the text in the chapter component, similar to the header. – Added background image for sticky posts on archive pages. The 1.5.0 update fixed an issue I had with parallax display and added two features I really wanted (logo + header color). Thanks so much for making this happen. My pleasure! I’m curious to know what issue you had with parallax. Are you talking about the parallax in the post/page featured image, or with the Aesop Story Engine parallax gallery component? The post images. They showed and looked nice, but scrolled with the page (unlike your site, and mine post-upgrade). I’d gone through and looked for a plugin conflict, cleared the site cache, and tried different image sizes. Nothing worked, but the upgrade has overwritten whatever was misbehaving. I’ll be finishing the site and will start adding fresh content by weekend: http://paperfrog.com. When I use a featured post, which shows up in the home page header, there’s no Read More link, and instead it ends with […]. I would like to add the Read More link back in as a button below the excerpt, and possibly even customize the color of that button using the Customizer to something other than the regular link/header colors. Would this be easy enough for me to do in a child theme, or would you consider it for a future update? As far as a child theme goes, it looks like inc/cover-featured.php has that No More Link message; I’m just not quite sure what to do there to bring the link back in. I could even just CSS it down to the next line with a custom color if needed, but having the Read More link is the main priority (and customizing it as a button, etc. isn’t as crucial). You’d want to put a Read More link back in with a child theme. I prefer not to have one myself, that’s why it’s missing. You could also easily set the featured post’s Read More link color in the CSS of the child theme. If you created a child theme, you’d copy inc/cover-featured.php and make your modifications there. Hi Paul, just playing with this theme now. Am I correct in seeing just a single level menu on the overlay? Or is there some way to activate a menu hierarchy? Hi again Paul, sorry, I’m an idiot. I see how it works now. face slap for me. How do you mean, “messed up everything on mobile”? Screenshots would be helpful. Feel free to comment here, file an issue (https://github.com/peiche/cover/issues), or email me directly (peiche@gmail.com). Hi Paul, love the Cover theme; thanks. One question: it’s great to see that the tagline is now visible on mobile devices, but it wraps in portrait layout on phones. Is there a way for the tagline to appear under the site title in portrait, and in-line in landscape? I’ll wrap that into the next update. Thanks so much for an awesome, clean theme. I was wondering – is there any way to implement a category hierarchy, much the same way that menus work? If not no worries, I can implement in the overlay menu structure – but it would be nice to use WP’s inbuilt category widget rather than the menu. I can definitely wrap that into the next update. Thanks Paul, very much appreciated! I see this happened in 1.6.1, thanks Paul! Hi Paul, love the theme. I have tried using SiteOrigin’s Page Builder plugin but it doesn’t integrate too well, interfering with layouts. Is this something you have come across? I haven’t tried using any page builder type plugins with Cover, or any other theme I’ve used, for that matter. No worries, thought it might make life easier but its ended up being more of a hassle anyway. Under Menu Settings, Theme Locations there are three options, how do the two Social Menus work? I cant seem to work out how to configure them. So, you’ll want to create a menu just for use in one of the two social menu locations (in the overlay or the footer). When you create a menu item for it, make it a custom link that points to one of your social media accounts. (For example, http://twitter.com/wavetree is mine for Twitter.) Cover will inspect the URL and assign the appropriate icon. 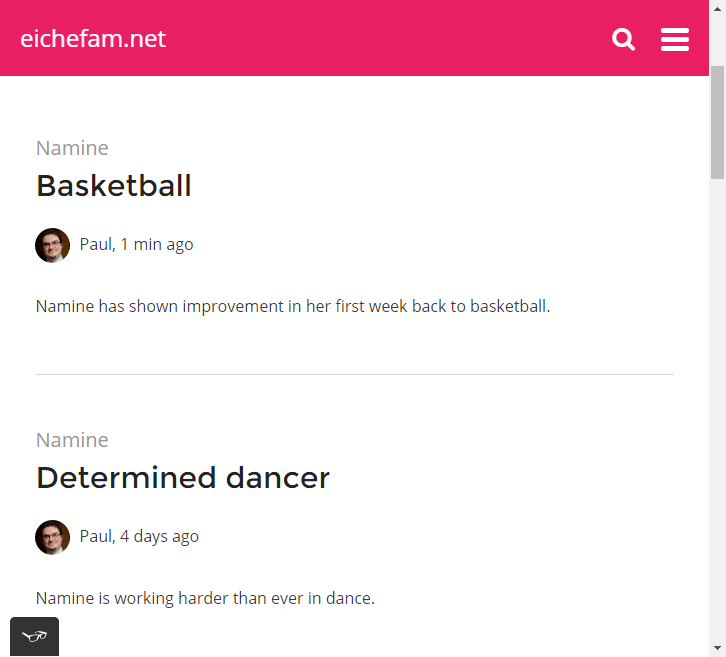 Hi, I am liking the theme so far, but for a reason the quote component doesn’t work well. The pull quote is invisible and the full-width quote is off. I haven’t used any other components aside of chapter and image so I can’t really tell what else is wrong when I use it. Thanks for the feedback. I am aware that the quote component has had issues since ASE introduced two variations, “full width” and “pull quote.” I will be addressing this in the next version of Cover. Thank you! I did not expect such a prompt reply. I am wondering what might be wrong with my installation too, since the problem with parallax and floater extends to all other components. Even without such effects, Cover is already a joy to read in though! There is an issue with parallax-enabled components not displaying which has been fixed, but the issue in the screenshot above is actually an Aesop plugin issue. The pull quote doesn’t use the background color property, so when the text color is white, it doesn’t show up. I don’t feel comfortable overriding the text color property, since that’s under the author’s control. Just make sure you don’t use white for the text color, and it’ll be fine. Not at all. Just create a menu item inside another menu item. See my screenshot for an example. Thx for Your Answer. But here it not working. I try on the target server for a few days. Best, theme is very original work. Do you have it on a public server so I can take a look? Not yet. I this troube will be still on public, I will write, if You let. Can You see and help maybe, please ?? Just installed this theme, and I love it. I really want to use ‘sub title’ to show on homepage as excerpt, or to show it in single article page just under the main title. Are you using plugin to make subtitles? I didn’t think WordPress supported them natively. What code highlight plugin do you suggest? I was using Crayon Syntax Highlighter but it seems to not work so well eg (http://d.pr/i/1iex9) unless you know a fix for this? I picked the Kayote theme, since it pretty closely matched the dark background color Cover uses for code blocks. Let me know if you’re still having trouble getting it to look nice. Hmmm still having issues its not being centered which is the main problem. Any ideas or thoughts? Whoops sorry I missed such a simple settings. All good now thanks! Hi Paul, do you have any idea how to delete the author name and avatar under the title of post in the homepage? I am sorry for this “amateur” question, since I am new working with wordpress. Thank you! Don’t be sorry at all! We all have to start somewhere. Are you talking about removing the author’s avatar and name from the post listing? (See screenshot.) I recommend making a child theme and copying the file /template-parts/content-summary.php to make the changes you require. If you want to completely remove the post meta (this includes the timestamp, as well as author info), then you can remove on line 33. If you want to change the meta output, you’ll have to make a copy of /inc/template-tags.php and modify the cover_posted_on() function. If all this is sounding too complicated, email me at peiche@gmail.com and we can discuss further. Cover is just amazing! I’ve been looking for a theme like this for quite a few days. I will be using it for a new blog project right away. The fact that you are actually using it on your personal website gives me lots of trust. Thanks, this theme is really a sort of lifesaver for me. I would normally use :first-child, but Aesop adds a element above the .aesop-component element, so that won’t work. The :first-of-type will ensure that it doesn’t set the negative margin on every element. Thank you so much! It worked perfectly. I was not expecting such a quick response, and I really appreciate all the work you’ve done here. Another question — is it possible to make body paragraphs have a maximum of 70 characters per line? It’s supposed to be easiest to read that way. Would you mind telling me how I could go about faking it with a fixed-width font? I totally understand if it’s too much trouble to describe and/or you don’t have time, and thanks again for your quick response. Browsers support different size units, one of which is “ch” which represents the width of the “0” character. Keep in mind that IE doesn’t have the same support for the ch unit as other major browsers. Well, it worked on some pages… I’ll keep trying. Thanks again for your help and all your attention to detail. Normally, aesop collections appear as a full width grid and show featured images as a background of posts titles. In order to prevent random CSS breakages, I wrote completely custom ASE styles. One of the components I never used was the collection block, so it remains relatively unstyled. Unfortunately, I am not adding any new features to Cover anymore since I published its rewrite, Cover2. Thanks for your answer. I have just installed Cover 2 and I can see that the CSS issue with Aesop collection is well fixed. Now it looks great. However, I have a few new issues. 1) Now in all pages there is a margin on top of the cover image that was not there with the previous version of Cover); 2) There is no more clickable arrow at the bottom of the cover image (it was a nice feature in the previous version of Cover). Do you plan to do something about those issues? I’ve actually been considering putting the clickable arrow back in. That should be included in the next update. I added the CSS line you suggested. But unfortunately, the margin is still there. Maybe I should just deactivate Magee. You might have to put !important on that line of css. The featured content is a Jetpack module. If you don’t have Jetpack installed, it won’t be available. Try wrapping the entire Aesop component in the link, instead of putting the link inside the component. Hi, any idea about a potential conflict between Aesop and Cover 2? With the reveal fx enabled, links inside the content can’t be clicked. This is a side effect of how the darkening overlay is achieved in Cover2. I will work on a fix. 1) in Aesop page collection each featured image preview has the following text “Written by …” . This should not be there since WP pages do not show authors details. How can I remove it? The most recent update (published on July 6) fixed the reveal effect bug. The “Written by” text is inserted by the Aesop Story Engine plugin, but I agree that it should not be shown on pages (as opposed to posts). I’ll see what I can do to fix that. The colored header is part of Cover2’s design. There is currently no way to get rid of it. Do you know how to create a child theme? That would allow you to customize the appearance to your liking. I updated to the newest version of Cover 2 and I noticed that the link issue is solved indeed. Thanks a lot. As for the child theme, I have never created one. I checked instructions on WP website. If you tell me the code I need to paste in the style.css and the functions.php of my theme-child directory, then I’ll try to do my best. That’s because you seem to have a page set up as your homepage, not a post listing. The slider is only enable for the list of posts as the homepage. Thanks. Now it works. Now I am adding widgets and I noticed that there is only the Overlay widget area, but no Search and Footer widget areas that instead existed in the previois version of Cover. Do I need to set up something to see them? No, I removed the search and footer widgets when I rewrote the theme. Pity Particularly, the footer widgets area is always something useful. I’ll try to add some footer plugin then. I added the code between parapgraphs. The font became bigger up to a given paragraph and it stayed smaller in the following paragraph. I do not understand the reason. The culprit is the Bootstrap stylesheet again. It sets the font-size to 10px on the html element, which alters Cover2’s font size of 1.25rem. The plugin Magee Shortcodes (https://wordpress.org/plugins/magee-shortcodes/) uses Bootstrap CSS. The first paragraph in any post or page has a font size of 125%. That’s a design decision I made when building Cover and Cover2. Yes, I know. And I like that. But as you can see, in the pot I share with you not only the first paragraph, but all paragraphs up to the sentence “An embarrassing ally named Mubarak” have a font size of 125%. Also, is there any chance that you put your nice Footer area back in your theme? Thanks a lot. It works. So you do not plan to restore the footer area in your theme? Or is there any way to put it back through adding some lines of code? Do you mean the social media icon menu in the footer? Or are you talking about putting widgets in the footer? I have no plans to do either, but I’ll think about it. I removed a lot of things in Cover2; that’s a big part of why I launched a brand new theme, instead of pushing it as a new version of Cover. I removed the grid view for post listings, featured images from post listings, background color, social media menu from the footer, and widget areas from the footer and search overlay. If you still want any of that, I encourage you to keep using Cover. I still maintain it (i.e., fix bugs) but it won’t be getting new features.